Happy Friday Wyrdos! It's time for another preview from the Other Side. This time we are taking a peek at the Steel Legion of Abysinnia. This veterans are a force to be reckoned with and backed up by a Cutter Titan. Let's take a look! At the pinnacle of the Abyssinian armed services sit the mighty Steel Legion. 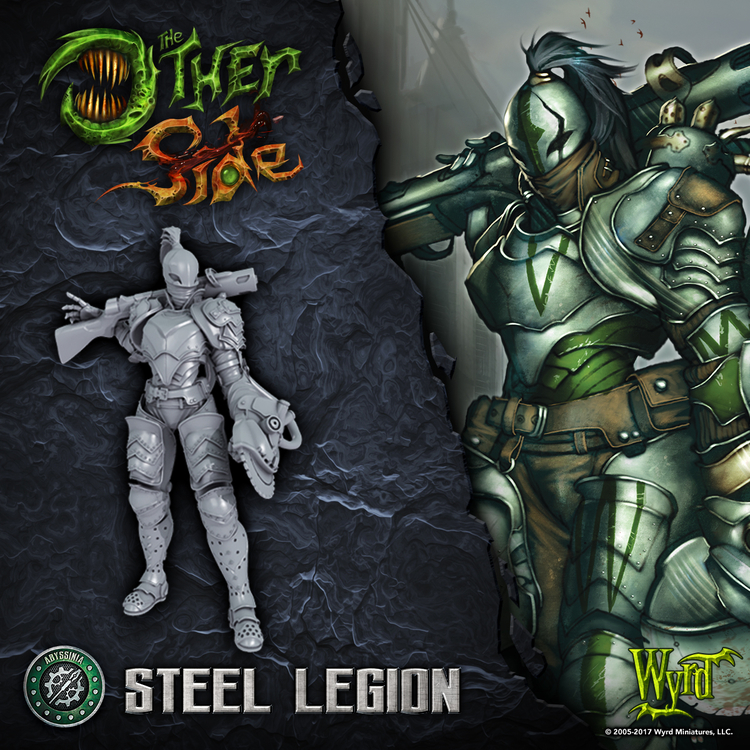 Filled with veterans of dozens of battles, the Steel Legion are the most respected, and feared, unit in Africa (and possibly the world). Their iconic buzzsaws are proprietary technology that seem capable of cutting through almost any material. The powerful armor turns aside most bullets, allowing them to enter into the thick of any combat to take down the enemy troops. Backed up by the mighty Cutter Titan, the Steel Legion are prepared to face any threat to the empire. On the tabletop, the Steel Legion have one role: cutting down the enemy. Using them for anything else is a waste of their talent. They are incredibly hard to take down, requiring a concentrated effort, and while the opponent is trying to kill them, they will be ripping through the heart of the opposing Company. Earth faction, meh. Just a snack for the Horde. Sorry @Kai, I'm late. Dumb time zone difference. I CAN NOT WAIT to paint these Model!!! !